A Party that everyone will remember!! 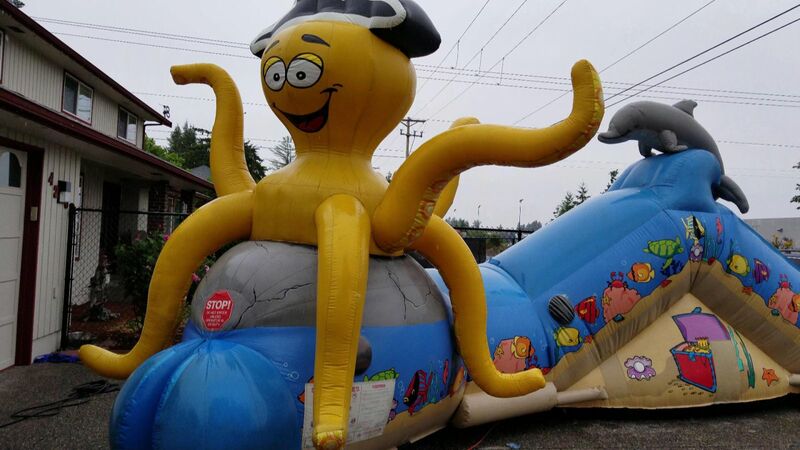 In addition to the setup of your event, Inflatable Event Professionals will provide the 2 trained staff members to run and monitor this inflatable attraction. Having our staff provide this service at your event helps to create a fun and more relaxed party environment for your guests. This way they can just enjoy themselves and we do all the work. Bounce, crawl, climb, & slide and have lots of fun in our UnderSea Inflatable experience!